In a book on “international banksters,” in a section on “financial overlords,” we’d be remiss not to at least mention in passing the elite families who have been juggernauts in the history of global banking. We address this in our book INTERNATIONAL BANKSTER$: The Global Banking Elite Exposed and the Case for Restructuring Capitalism. The Oppenheim Family…Photo taken in pre-war Germany. Families such as German financial dynasty the Oppenheim family who began to dominate the finance and banking sectors in Europe from the 18th Century onwards. One of the Oppenheim family’s key assets for centuries, Sal. Oppenheim, was the highest valued privately owned investment bank in Europe until the family sold it in 2009. An even more powerful banking clan is the almost infinitely-wealthy Rothschild family who also entered the banking industry in 18th Century Europe and used to own mining giant Rio Tinto. Some say the Rothschilds have incalculable wealth and that even the price of gold is determined by them. In the United States, the Rockefellers are essentially the equivalent of the Rothschilds, or almost. Besides their extensive background in the oil business, the Rockefellers have long been an elite banking family with key investments like Chase Manhattan Bank and JP Morgan Chase. Although it’s not commonly reported or even investigated by mainstream media, it seems logical that these elite banking families would manipulate financial markets in their favor. Especially given they have dominated banking for centuries and have the process down to a fine art. Another important point is these families made much of their fortunes through either criminal or highly immoral enterprises – perhaps deserving their “bankster” titles bestowed upon them by certain independent researchers. 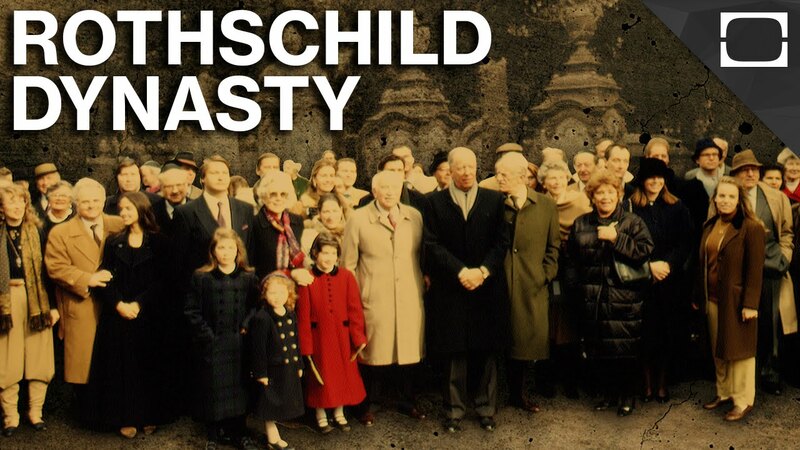 For example, a June 26, 2009 article in the UK’s Financial Times mentions the Rothschilds’ and other elite banking families’ historical links to slavery. “Two of the biggest names in the City of London,” the article states, “had previously undisclosed links to slavery in the British colonies, documents seen by the Financial Times have revealed. “Nathan Mayer Rothschild, the banking family’s 19th-century patriarch, and James William Freshfield, founder of Freshfields, the top City law firm, benefited financially from slavery, records from the National Archives show, even though both have often been portrayed as opponents of slavery”. The Rockefeller-associated asset, JP Morgan, is also listed in the Financial Times article as having ties to the slave trade. “JPMorgan, the investment bank, set up a $5m scholarship fund for black students studying in Louisiana after apologising in 2005 for the company’s historic links to slavery. “In the case of Mr Rothschild, the documents reveal for the first time that he made personal gains by using slaves as collateral in banking dealings with a slave owner”. The article also names Lehman Brothers and the Bank of America as among other major financial institutions that profited off slavery. “For more than a century ideological extremists at either end of the political spectrum have seized upon well-publicized incidents such as my encounter with Castro to attack the Rockefeller family for the inordinate influence they claim we wield over American political and economic institutions. Some even believe we are part of a secret cabal working against the best interests of the United States, characterizing my family and me as internationalists and of conspiring with others around the world to build a more integrated global political and economic structure—one world, if you will. If that’s the charge, I stand guilty, and I am proud of it.” –David Rockefeller from his 2002 autobiography Memoirs. Could it be that some, or even many, of the world’s recent financial problems – including meltdowns and crashes – are partly due to market manipulation these elite banksters (partially listed in this chapter) are doing in secret? If the answer to that question is yes, then it is highly likely much of this subtle, semi-hidden manipulation of the “free market” is done via the much denigrated central banks.